I will be talking at 2 events in the near future, in both occasions, it will be about crowd funding and Kickstarter. While this probably comprises less than 2% of my time, I think it makes feel event organizers that much more comfortable in inviting me talk about the topic. I am not selling anything to the audience and I have no agenda when I come as a speaker. It makes me scratch the itch, so we are all winning in the end. Yes. This is this week and this is not about videogames. However, the organiser invited me to share about the experience of running a successful Kickstarter project with Strike Suit Zero. 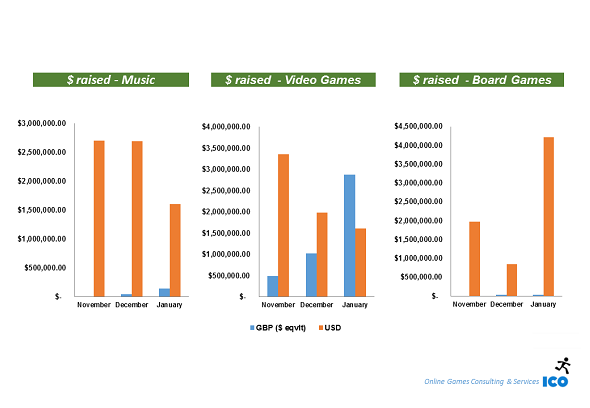 I took the opportunity to have a look at how well the music projects are performing on Kickstarter and I will put the results on Slideshare as usual. The whole event is free, structure as a panel and we should have ample time to cover the topic as we won’t be confined on a one-hour format, which is a very good thing IMHO. This is a short session (using the 25-min “TED Talk” format), so I won’t have the ability to go on and on about the topic. I will very likely stick to the numbers, and what they mean. Or more likely, what they used to mean 6 months ago and what they mean now. It will be less about sharing about the Strike Suit Zero specific, but you are very welcomed to catch me at the event and ask me directly. 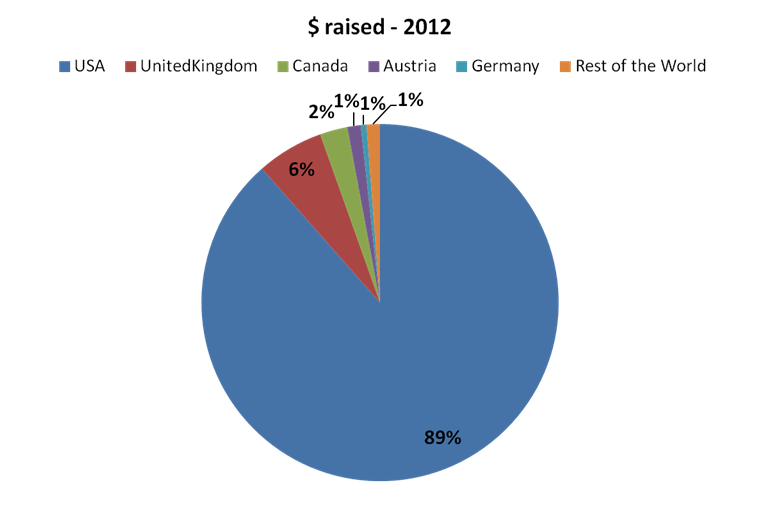 And as a teaser for the upcoming data from the Newcastle event, I want to share the following, specifically about how well Kickstarter is performing in UK (or in GBP to be precise and as explained on the post about the topic). As I said, I have been looking at music projects recently. Added to the mix as well, I have started tracking Tabletop Games, both for my personal education and for a couple of projects I discussed with friendly companies. Arguably, this data is very anecdotal but it is interesting to see how video games projects are performing in GBP comparatively to the other genres. Even if you ignore Godus and Elite, which both raised a large amount of money and had a fairly large impact on the data, the performance of video games in GBP is very good compared to Music and Tabletop. 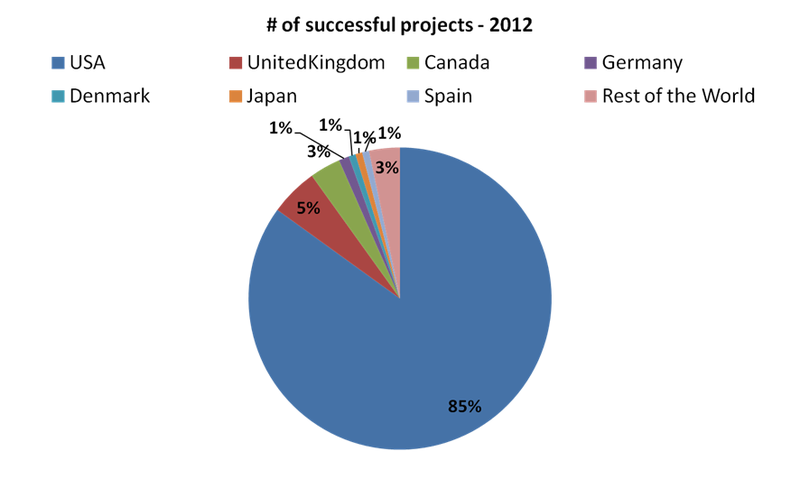 There are still very few projects that get financed, compared to USD projects. We are looking at almost a 10 to 1 ratio, but that still better than Music or Tabletop projects. I believe that the Music industry has more viable alternatives for crowd funding and the fact it is steadily growing since the GBP launch is an excellent sign for the platform. Thomas and Diane arrive on Sunday, and will be at GDC on Mon 13th and Tue 14th. They’ll be taking meetings in our B2B booth, located in Hall 4.1, A012, until Fri 17th. Anne-Julie will be a superhero, flying in to assist where she’s needed. https://icopartners.com/newblog/wp-content/uploads/2012/10/gamescom_2012.png 256 710 Thomas BIDAUX http://icopartners.com/newblog/wp-content/uploads/2017/08/ICO_logo_022.png Thomas BIDAUX2012-10-10 11:18:592014-09-29 10:16:31Gamescom roll call! I have to warn you, this might end up being a rather long post. I am on my way home, coming back from Seattle where I was attending the IGDA Summit and Casual Connect Seattle and I have seen and heard a number of things I really feel like I should share around. If you remember, I was attending also last year and I felt similarly. But before I start, I need to explain why. After all, I almost never cover other events this way. The IGDA Summit is different though (and you will see I have not much to say about Casual Connect). First, this is the event where I am the most involved in when it comes to content. I designed the whole monetisation track alongside Brian; we directly invited every single speaker and panelist (with some help from IGDA figures, special thanks should be given to Sheri Rubin and Ed Fries). Second, this is an IGDA event. The sole purpose is to get the content to developers, and all the work done is volunteer based. Third, the event doesn’t have the audience it deserves and its content doesn’t get as much coverage as other events. Last, there is some strange star alignment that means I don’t have meetings colliding and therefore I could actually sit through all the sessions. Taken altogether, those are strong reasons compelling me to summarize and re-share what was said. Especially when the topics covered are ones I find very relevant (that’s why I picked them). You can see the IGDA Summits program here, and I will just cover the panels from the monetisation track. If you follow me on Twitter though, most of what you will find below will look very familiar as I used twitter as my note taking tool. I will share the videos once they are live so you can get the complete sessions properly (and check all things I wrote down and got wrong). Unless you were on holidays, you have heard of Ouya. Regardless of your opinion on the idea, you have to give them credit for trying something very bold and getting positive feedback for it. The session, rather than taking the usual lecture formula of most keynotes, was set up as an interview between Ed Fries and Julie Uhrman, Ouya’s CEO. As Ed is an advisor to Ouya, he provided a full disclaimer about his involvment and kept his questions in line with the ones that everyone is asking (not necessarily the nice ones). Opening the floor at the end for some Q&A was also very interesting to get genuine questions to Julie. • The Kickstarter campaign and the feedback received made the team change some of specs of the machine already. In that sense, they feel like going to Kickstarter has brought them a lot, and they avoided to make some mistakes this way. • Julie did a great job of avoiding answering a lot of questions. I don’t think she intentionally wanted to come across as secretive and/or defensive, but this gave the impression that they are still trying to figure out a lot of things. • The key messages pushed about Ouya throughout: this is an open platform (even though this will also be a curated environment, TBC), the $99 price is as much a game changer as the other aspects of the project. • They haven’t used all their ammunition for the Kickstarter campaign yet. Expect more announcements before the end. After the campaign, they will be putting their website live to transition. From a SEO perspective, I would have thought they would launch their website earlier, but hey, it will just add some more time to build the site relevance on the engines. • They (unsurprisingly) are actively recruiting developers to embrace the platform, and they will use some of the money raised on Kickstarter to help this. Overall, I didn’t feel that we learned a lot, but the overview did help put a face on the project and reinforce the notion that it’s seriously supported by its team. I might be reading too much into the discussion that happened, but the session also reinforced my impression that Ouya is not a project that exists solely through Kickstarter. They seem to have a plan that leverages Kickstarter as an opportunity, with investors and funds that go beyond the money currently being raised. To the detractors saying that Ouya will fail because Kickstarter will never provide for enough cash for the platform to reach a critical mass: I would advise you to wait until Ouya announces their longer term plans. TL;DR – Ouya is still working on finding its place. They have plans. Arguably, this was the panel I was the most curious about. I went into it with the idea in mind that merchandising is not enough considered as a monetisation path by developers, but I was also cautious about it, with the notion that it takes a certain critical mass to make the effort worth it. Appears that I was wrong. • The most important element for merchandising is the community, and the depth of the engagement of the developer (and publisher?) with it. It doesn’t matter how big it is, what matters is that they care about the property and that the IP holder treats the merchandising properly. Merchandising production can be very simple, based off of demand production if you can only expect small quantities. Don’t try to just put the logo of your game on a t-shirt: make an item that relates to the community and really shows that it is about the game mentality/universe and not about marketing (Valve doesn’t offer apparel with the logos of their games, for instance). • As much as you can, show that it is personal. A reference to a private joke between your players will work well. Jinx also used to send a personal message when customers were buying their favourite t-shirts. They can’t anymore, but that was highly appreciated. Thinkgeek gets more positive feedback for the free stickers they include in their shipments than about what was actually sent to the customers. • Jinx usually works on games they like. They are very rarely contacted by the game companies, but not because they don’t want to be. And the best way to work with them is always to get them to play the game. Interestingly, rather than looking at the game’s sales numbers, they will look at the existing game community first. Better for games that have passionate loyal players, and easier to design for games with lovable characters, inside jokes and appropriate enduring identity symbols (apparently Jinx got some companies to change their logos to make them appropriate for merchandising). • The easiest things to do is apparel. Also very easy are stickers and temporary tattoos. Making 300 t-shirts and taking it from there is pretty easy to do, and not that expensive. • To give an idea of scale, Jinx needs to sell 120 t-shirts per quarter for each t-shirt design to make it worth their while. If you feel you can do these kind of numbers, you can work with a partner like them. Thinkgeek discussed the volume required for items made for them in China and for those they need to produce a minimum of 3000 units and feel confident they will sell. Valve’s best selling shirts sell in the tens of thousands. • Tying the release of an item to an event (a real world event like a convention or a virtual event like the Meet the Pyro and the balloonicorn) will make it more successful. And don’t forget to put something to relay a call to action related to the game. Valve had an in game item with the balloonicorn (and that’s probably why it sold out so quickly) but it can be as simple as the game URL somewhere or a QR code on the label. • Finding a partner is not the most difficult thing (there are plenty of branded apparel companies for instance). What is important is to start the process. • Merchandising is not going to make you a lot of money, but it was referred to as “profitable marketing” by the panel. • [this came from my discussion with Seth afterwards rather than the panel IIRC] If you work with a lot of partners, be careful about the contracts, make sure you have the right elements agreed early on like the call to actions mentioned earlier. Rovio apparently didn’t care about it enough and there are little to no proper calls to action because the licensors just don’t care about them. As a sidenote, I loved how everybody decided not to name Rovio (an obvious gaming company that has been very successful with their merchandising approach), and referred it to the “Finnish company”. It was the game equivalent to the Scottish play. TL;DR – You are never too small to start making merchandising on your game, as long as you are passionate about it. Balloonicorns are great. The panel was kicked-off by a small debate on the difference between “user acquisition” and “app marketing”, and Jussi basically summarizing it by “User acquisition is like fishing. Good for the fisherman, not that good for the fish”. • The current trend has developers and publishers moving away from pushing for a spot in the charts towards more natural marketing. The charts are totally gamed at the moment, focusing on them doesn’t help that much now. Because of this, there is also a re-focus towards the quality of users. 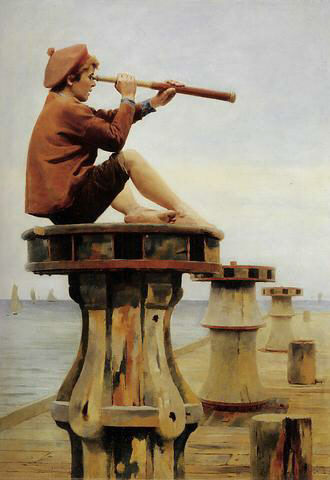 • Mobile games are still behind online games on their way to track the value of users. Getting a lifetime value of a user is still tricky but it is coming. In the same spirit, virality is very difficult to measure for mobile games. • There was a very interesting disagreement between Jussi and Rob about the value of an organic user compared to an acquired user. Tapjoy hasn’t seen a significant difference between the two types in terms of monetization. • Nowadays, the launch of a game is a non-event. The growth of a game happens over time and on-going efforts. • Retention will become more and more important. There is still a focus on acquisition at the moment [on mobile I think was the context of this comment]. • Everybody agreed that the next big thing in marketing for apps (social as well as mobile), according to the everyone on the panel, is going to be videos. TL;DR – “User acquisition is like fishing. Good for the fisherman, not that good for the fish”, mobile slowly catching up on online for best practices. This was a great follow up from the panel from the previous year (http://www.icopartners.com/blog/archives/2518), where all the 3 panelists put together had managed to raise $70,000, a worthy achievement at the time, to the “post-Double Fine” era panelists who all had projects with an objective of $200,000 or more. I am really looking forward to having this panel as a trilogy, and seeing what next year’s will look like. • A campaign is a big undertaking, and one that can be easily under estimated. Both Republique and Takedown had a “photo finish” and took a tremendous toll on the devs. Jordan made a comment about how “anyone considering doing a 60 days campaign is insane”. • Squad Wars’ failure was down to a number of things: Free-to-play games, in essence, don’t fit very well to the Kickstarter current expectations of a product; they prepared very little ahead of the campaign, it was all put together in a couple of days and had *no* communication plan. • Republique had 2 months of preparation. In hindsight, the video was over designed and might have looked too good to properly appeal for players to contribute to funding. The campaign had a really good start, and then hit a very hard wall. Their last video, produced before the end of the campaign, was a great tool to summarize all the changes and the announcements made throughout the campaign. The quality of that video was also taken down from the original video and it was received very well and made the final push possible. While they couldn’t measure as finely as they wanted to, their ratio page visitors/project backer ratio was less than 1%. • Everybody on the panel felt they benefitted from the visibility that the Kickstarter campaign granted them (including Squad Wars that failed to get its funding). • It is important to point out to the visitors of the campaign page that their pledge is only taken if the project reaches its objectives. Their seemed to be a natural tendency to not fund projects if they might not be successful, regardless of the fact that in that case, no money is ever taken. • You need to account for Kickstarter and Amazon payment shares (about 10% together), the cost of goods and the 3 Horses (between 20 to 25%), but also for credit cards that couldn’t be processed (for a number of reasons). You will not get 100% of the money pledged. • [from discussing with Jordan afterwards] One of the most notable actions that increased the total raised for the project was the addition of the dog tag reward. It had a more significant impact than most of the stretch goals (even if they did help too). TL;DR – Kickstarter campaigns are tough. Make sure you have the bandwidth and energy to make it work. I didn’t attend many lectures there, but of those I saw, I have to say the Wooga lecture about Metrics and Love was the absolute best one. It is difficult to do it justice by describing it (even if Kevin did try). You will have to wait for when the video is up to have the full experience — just know it mentions tough break ups, Jurrasic Park and Daily Smiling Users. I also wanted to mention just a general feeling I got by just walking around the exhibition floor(s) and seeing who was showcasing their business. It was massively biased towards user acquisition solutions and monetisation services. It makes a lot of sense as it makes the most sense for B2B companies to be exhibiting at this kind of events, but it definetely fed into the impression it is all about numbers and gaming the poor discoverability of the different ecosystems. Maybe I am being unfair, but it all definitely looked like it lacked some love. You could find it easily enough by talking to the attendees, but it was slightly disturbing to me. Both events were very interesting, Casual Connect has certainly significantly grown over the years and with so much convergence between casual, social and mobile happening at the moment, and so many best practices that you can apply to online games as well, I would think this is well worth attending if you are not going to Chinajoy that week. And if you are attending, I would certainly advise on checking the IGDA Summit content as it is too often overlooked! Just a quick post to let everyone know that Thomas and me are attending Nordic Game up North in Malmo this week. Thomas will be speaking on Thursday 24th May at 2pm in a panel about game financing. Hope to see many of you there! We all managed to avoid the GDC flu but are still pretty quiet for now, waiting for a time when the workload eases up and we can blog more frequently again. TO hold you over a bit until then, here are the presentations from the lectures Diane and I delivered during the week of the GDC. I ran out of time and couldn’t cover the case studies in the end, so even if you attended you should find a few extra details in here. Questions or feedback? Please let us know! I am very late in relaying the information but, like every year, we will be in San Francisco for GDC next week. Team GDC will be comprised of Diane, Jen and myself, and if you want to meet with us we still have room to fit a few more meetings. Just contact us. You are also very welcomed come by my lecture during the Social and Online Games Summit where I will talk about the “Keys to the European Market” – this is a 25mn lecture, I will need to go straight to the point and won’t have much time for question afterwards but you are more than welcome to grab me after the session. Diane also has lecture at the Game Connection America held in parallel where she will discuss “Business models in games – trends and prediction“. We are all very much looking forward to being there and inhaling a large dose of inspiration about the industry’s future.